Mais qu'est ce que je vais bien pourvoir crocheter maintenant? Peut être bien une autre...! 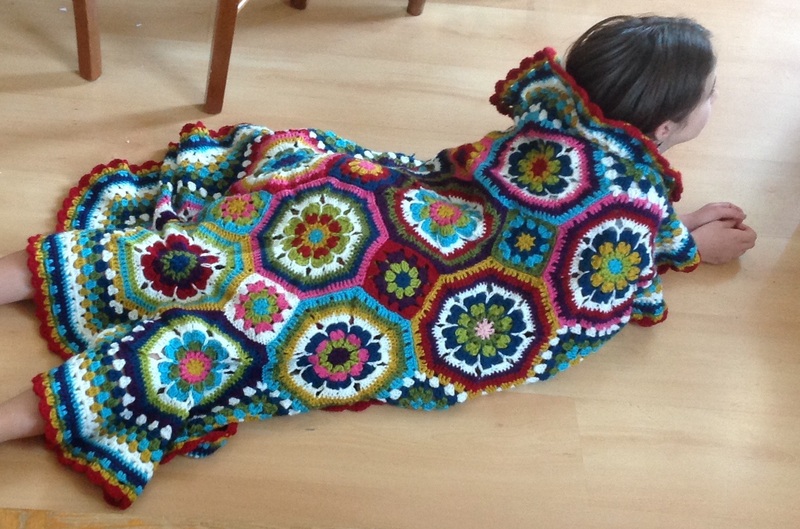 I've never been a great fan of multicolored blankets before, but I must admit I'm quite addicted to this great pattern. I simply want to make some other ones now! They will make great presents for our latest little ladies in the family... And now my own little lady has her own blanket, she shoudn't be too jealous.